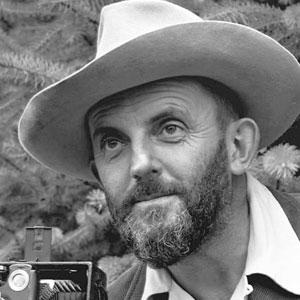 American photographer and environmentalist well known for his black-and-white photographs of the American West. He helped create the Zone System of photography, a technique that figured out optimal film exposure and development. He was a witness to the destruction that wrought San Francisco after its huge 1906 earthquake. He was was one of the founders of the magazine Aperture, which was intended as a serious journal of photography showcasing its best practitioners and newest innovations. He married Virginia Rose Best and had two children: Michael, born August 1933, and Anne, born in 1935. Like him, Amy Smart is a celebrated California-born environmentalist .